Hello Everyone, here is the email you've been waiting for with further set up instructions and details. For those of you that have attended our con at Spokane Community College over the past couple years, it's business as usual. Take the Thor/Freya St. exit. Turn left at Freya St.
Continue traveling north on Freya St. Freya becomes Greene St. at Mission Ave. The SCC campus is located at the intersection of Greene St. and Mission Ave. You may enter the campus from Greene St. or from Mission Ave. Turn right at Freya St. Parking is FREE anywhere on campus for the event. All vendors and artists are welcome to set up on Saturday May 19th between 7am-10am. 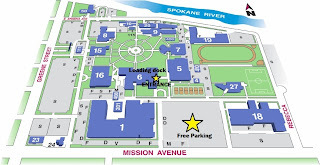 When you enter building 6 The Lair, please check in at the admissions table (or find the nearest volunteer in a Black Spokane Comicon shirt) for your badges and table placement. **The floor plan is not currently finalized due to the school having an event the day before our show and the layout may change. 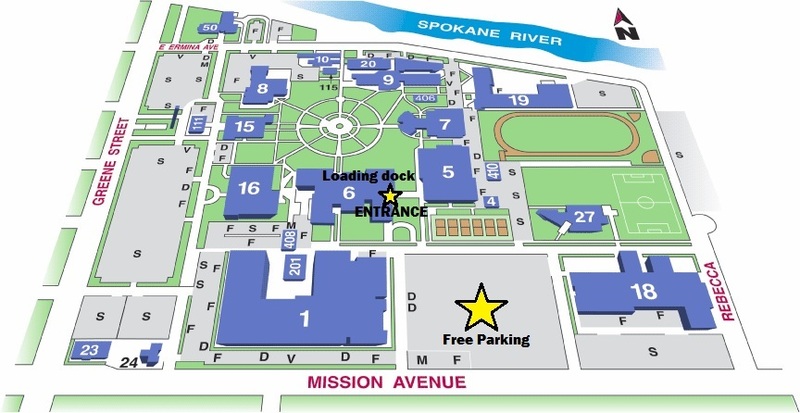 There is a service road that runs along the side of Building 6 (see attachment) that you are welcome to use to unload. Once you have unloaded please move your vehicle to the parking lot so other vendors can pull in. Please be aware of fans that will start to line up near by the building as early as 7am. The show runs from 10am-5pm and all vendors and artists are required to remain setup until the end of the show. No exceptions. Reminder: If you need electricity, you are required to supply your own cord and a way to safely secure it to the ground.